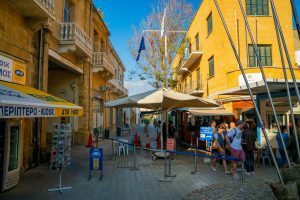 North Cyprus will not compete in this year’s European football tournament for unrecognised states because of safety fears over the choice of venue, T-VINE has learned. The Turkish Cypriot national soccer team had been invited to take part in the 2019 CONIFA (Confederation of Independent Football Associations) European Football Cup, which will take place in June in the disputed Nagorno-Karabakh region of south-west Azerbaijan. North Cyprus was missing, however, from a list of 12 teams that will go into a draw on Sunday for the event. The Turkish Cypriots had automatically qualified by virtue of finishing runners-up in the 2017 contest, hosted by the Turkish Republic of Northern Cyprus (TRNC). The side also came second at last year’s CONIFA World Football Cup in London. Officials at the Cyprus Turkish Football Federation (KTFF) declined the invitation for the 2019 European Football Cup because of “security concerns”, a source said. Azerbaijanis and Armenians went to war over Nagorno-Karabakh following the collapse of the Soviet Union in 1991. Around 30,000 people died in the conflict. Ethnic Armenians later declared the region and surrounding territory as their own independent state, which they call Artsakh. It is not officially recognised by other countries, including Armenia. Serious violence flared up in Nagorno-Karabakh in 2016, which claimed more than 100 lives. The UK’s Foreign and Commonwealth Office (FCO) warns against all travel to Nagorno-Karabakh “and the military occupied area surrounding it”, as well as within 5km of the “Line of Contact” and within 5km of the border with Armenia. “Tensions between Azerbaijan and Armenia over Nagorno-Karabakh continue,” the FCO states on its website. It adds that entering Nagorno-Karabakh “without the permission of the Azerbaijani authorities” constitutes a “criminal offence”. “There have been some recent reports that the government of Azerbaijan has started criminal proceedings against foreign citizens . . . for visiting and working in Nagorno-Karabakh without official permission. In 2011 human rights lawyer and former TRNC foreign minister Emine Çolak and former Lefkoşa mayor Kutlay Erk were reportedly “blacklisted” by the Azerbaijani government for travelling to Nagorno-Karabakh, to take part in a conflict-resolution seminar, “without its permission”. CONIFA has previously said that teams planning to play in Nagorno-Karabakh would have to travel to the Armenian capital Yerevan and then continue their journey by coach and obtain an “Artsakh visa on arrival”. 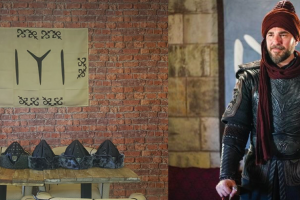 A KTFF source, who did not want to be named, told T-VINE that the squad’s security “always comes first” and “then our government opinion”. 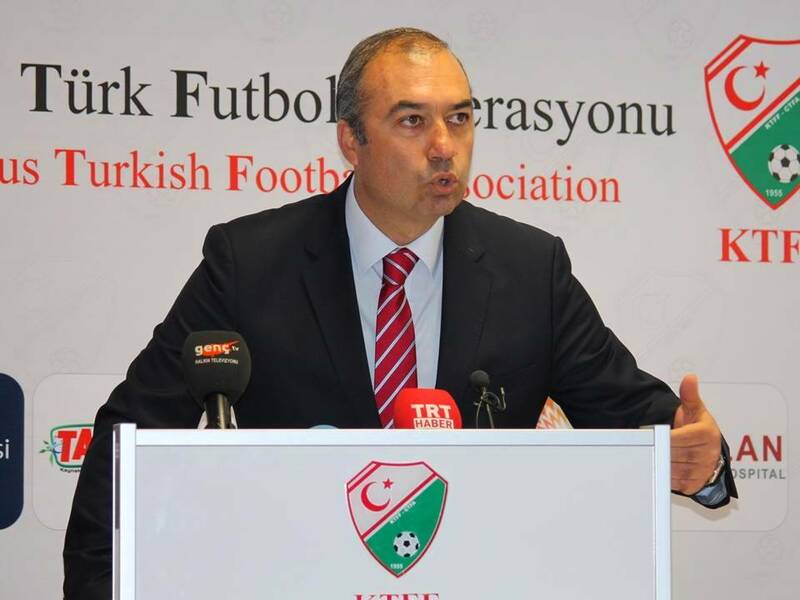 KTFF president Hasan Sertoğlu did not respond to a request for comment from T-VINE but later confirmed to North Cyprus state broadcaster BRT that the Turkish Cypriot squad would not be going to the European Football Cup event. The absence of Turkish Cypriots from the tournament will come as a blow to the development of football in the TRNC, whose teams are barred from taking part in competitions run by FIFA, the sport’s official governing body, due to embargoes imposed by the Greek Cypriot authorities. Clubs from Turkey cannot play games in the TRNC¸ not even friendlies, despite Turkey being the only country to recognise it. The situation was brought into sharp focus in 2012 when Istanbul giants Fenerbahçe travelled to South Cyprus via Greece when they were drawn against AEL Limassol in the Europa League. Fenerbahçe fans travelling from North Cyprus were banned from unfurling TRNC flags inside the stadium. A controversial bid by Mr Sertoğlu to unite football on the island in 2015, which would have seen the KTFF become a member of the Greek Cypriot FA, eventually came to nothing. Mr Sertoğlu then accused Greek Cypriot lobby groups in the UK of acting “shamefully” when they tried, unsuccessfully, to prevent North Cyprus from playing in the CONIFA World Football Cup in the London borough of Enfield last year. 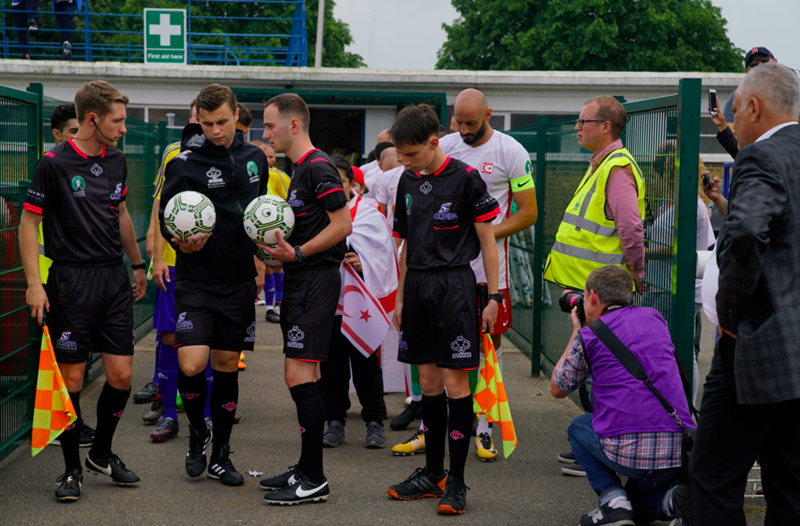 Main photo © CONIFA: North Cyprus and Tibet teams wait to go out on pitch at Enfield for opening game of CONIFA 2018 World Cup.